At the Tuesday June 19th meeting of the Marshall Area Garden Club, Inc., the featured speaker will be Master Gardener Linda Whitlock. 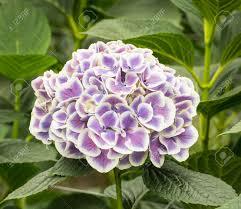 Hydrangeas have a reputation as being difficult to grow. Master Gardener Linda Whitlock will explain the six main hydrangeas we grow in our gardens and demystify these favorites for good! We’ll learn about the best varieties for our area, colors and hardiness as well as tips on pruning. Linda is a Consumer Horticulture Educator with MSU Extension in Kalamazoo County and also Coordinator of the Master Gardener Program in that county. She holds a Master’s Degree from U of M.
Garden Club meetings are held at the Marshall United Methodist Church on Old 27 Highway, and the public is welcome to attend. Social time begins at 6:30 p.m., the program begins at 7:00 p.m., and the club’s business meeting will follow at 8:15 p.m.
Marshall Area Garden Club has announced its programs for the coming year. The 2017 - 2018 monthly meetings end June 2018, with the garden tour set for July 14 and 15, 2018. Funds raised from the tours help fund landscaping projects including the flower beds around the Fountain Circle. A wide variety of subjects will be covered at the club's monthly meetings, held the third Tuesday of every month except December, July, and August. All meetings will be held at the Marshall United Methodist Church. The public is welcome to attend the club's meetings and encouraged to join.